It’s #throwbackThursday, and this week Raj Shah, our University of Limerick ambassador looks back fondly on his Irish Diwali celebrations. 3 November 2013: The biggest festival in India, the festival of lights. The festival that signifies the victory of light over darkness and good over evil. Yes, it was Diwali! Being thousands of miles away from home, all of the international students at the University of Limerick were warmly welcomed in to a Diwali night organised by the International Education Division. 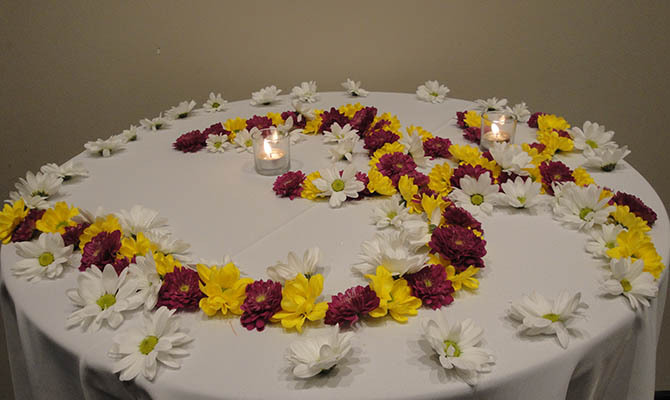 Previously, UL had celebrated Diwali in an Indian restaurant in town but this time, Diwali was held on campus. All students were invited to the Pavilion, one of the restaurants here at UL. 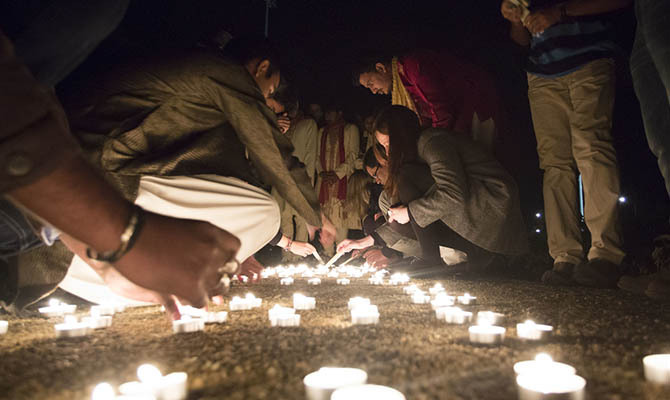 As per tradition, the celebrations started with a prayer followed by lighting of ‘diyas’ (traditional candles) and a brief talk on the festival and traditions observed all over the world. Many students were even in their traditional attires, adding to the already vibrant colours around us. The customary traditions were ‘grand’, and we all felt at home. The evening progressed with some lovely Indian music and dance and everybody joined in. Even the international office joined in to get a taste of our warm Indian culture and loved every bit of it! Celebrations couldn’t be complete without a wonderful Indian dinner! The night ended with laughter and joy, and everyone had a great time. We were delighted by the effort made by the international office to make us feel at home and enjoy a festival usually celebrated with family and friends. A big shout out to all involved for giving us an amazing and memorable Diwali away from home!